Tishauna is a Life Purpose Coach and the CEO NexxStepp Personal Development Services and Inspirational Products. She can be described as a passionate philanthropist who depends upon the Master helper for direction and strength as to enrich the lives of others. She has been involved in a variety of areas in ministry including: Evangelism, Prison Ministry, Performing Arts Ministry, School-to-school ministry, Intercessory Prayer and Youth Empowerment. Tishauna’s business NexxStepp exists to make a positive change in the lives of young people; to facilitate their transition to higher quality of life and self-actualization enabling them to be confident, inspired, empowered and self-fulfilled. 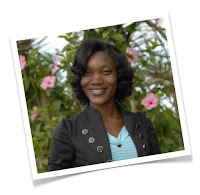 Ms. Mullings coaches women of all ages however, she finds fulfilment specifically in enabling young women ages 16- 25 to maximize their fullest potentials as they transition in adulthood.